The student list (below) does not correlate (at this stage) with the photo above. We hope you can put faces to names for us! 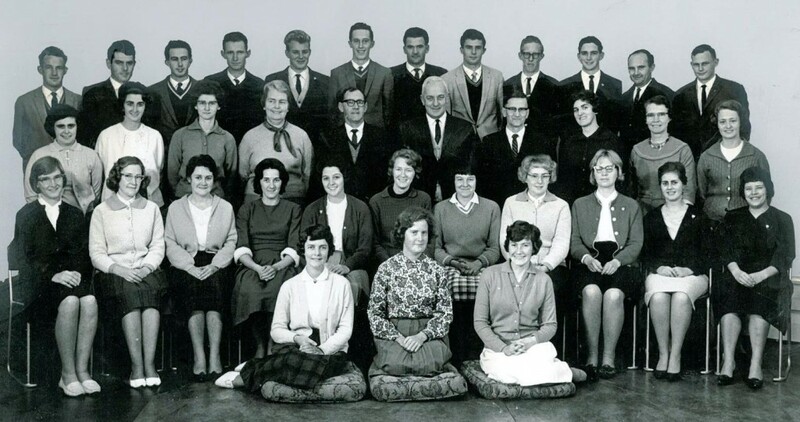 Hello,I was a student from 1968 to 1970,in 1971 I was the college cook for 6 months.I married Peter Fisher in July 71 and we spent the next 35 years farming.We helped start Baptist churches in Margaret River and Moora and re-start another in Corrigin.We had 3 daughters and now live in Perth close to our eldest. Some of your names above are incorrect..it is Leo Cox not Lea…Frank Dawe Smith,not Dawe Smith. Thanks Lesley, I have already corrected Frank Dawes-Smith because Kim Flatman sent me an email on the need to correct his name. I’ll also track down the Lea Cox and change it to Leo Cox! Thanks for the correction Kim! Can you provide the correct photo for this year then?